New Delhi: Boyan Slat is not just another 19-year Aerospace Engineering student of Delft University of Technology. He has invented the Ocean Cleanup Array that will combine long floating booms with anchored processing platforms to filter plastics from the oceans of the world. 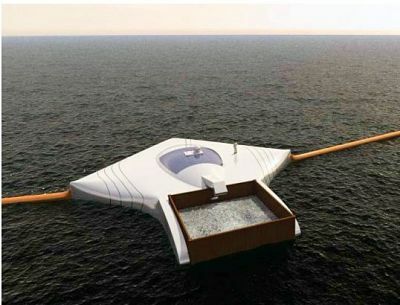 The angle of the booms will act as a giant funnel to attract plastic from the garbage patches from the ocean using the natural water currents to the platform where plastic will be separated from plankton and stored for recycling. The invention has the potential to clear 7, 250,000 tons of plastic from the ocean in five years. Delft University of Technology, also known as TU Delft, is situated in the Netherlands. It is the largest and oldest Dutch public technical university of the world. Plastic pollution in the oceans is not only killing million of aquatic animals every year but is also responsible for transmitting more and more harmful chemicals like PCB and DDT to the food chain. Governments, companies and individuals suffer from a damage of millions of dollars annually due to it in terms of vessel damages, loss of tourism and inefficient beach clean-up drives. Slat has found a non-profit organization called The Ocean Cleanup Foundation which is looking for financial backing and several key people to help him conduct feasibility studies and take the idea from the drawing board to the oceans.